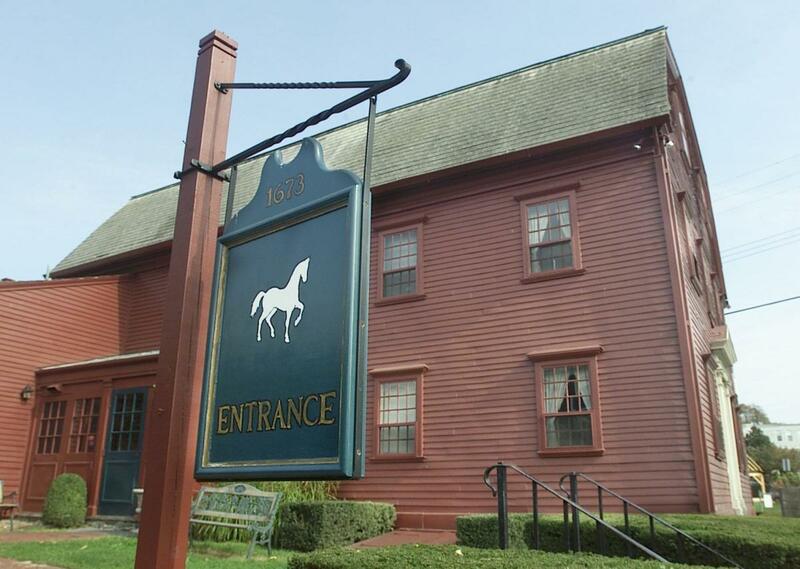 No building is believed to be more typical of colonial Newport than the White Horse Tavern, with its clapboard walls, gambrel roof and plain pediment doors bordering the sidewalk. Inside, its giant beams, small stairway against the chimney, tiny front hall and cavernous fireplaces are the very essence of 17thcentury American architecture. The White Horse Tavern is the “oldest operating restaurant in the U.S.” and is acknowledged as the 10tholdest in the world. The White Horse Tavern is a National Historic Landmark being America’s oldest restaurant, having served guests since 1673. 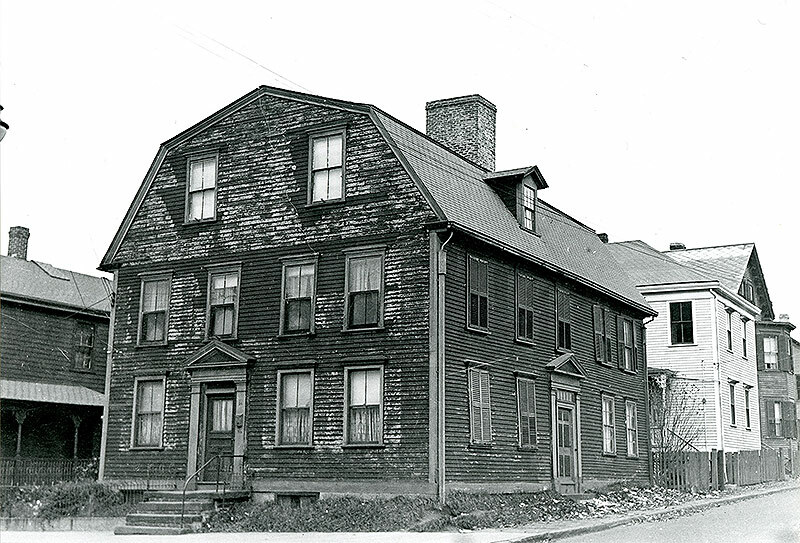 The White Horse Tavern was originally constructed as a two-story, two-room residence for Francis Brinley. 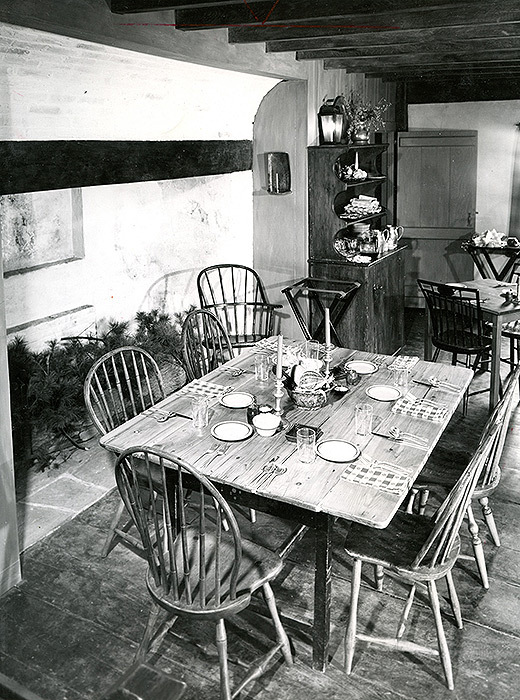 It was acquired by William Mayes, Sr. and converted to a tavern. 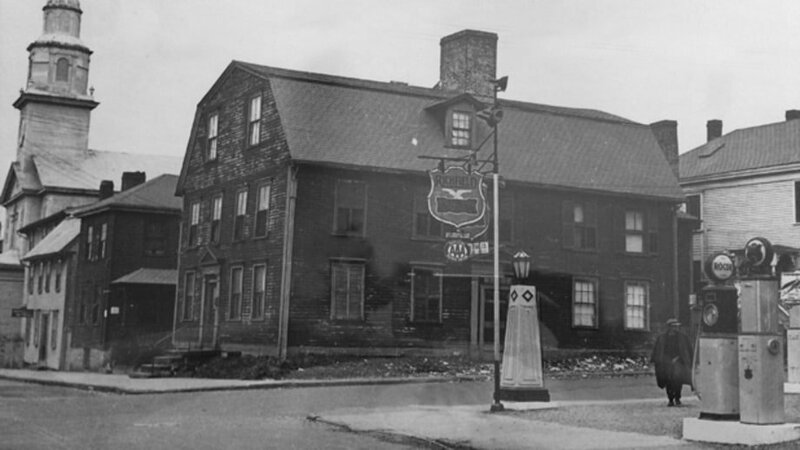 For almost 100 years, this large and comfortable tavern was the meeting place of the Colony’s General Assembly, Criminal Court and City Council. William Mayes succeeded his father as innkeeper and was granted a license to sell “all sorts of strong drink.” William was a notorious pirate that operated in the Red Sea and returned to Newport with his bounty. Openly welcomed and protected by the townspeople, the privateer caused much embarrassment to officials of the British Colony. 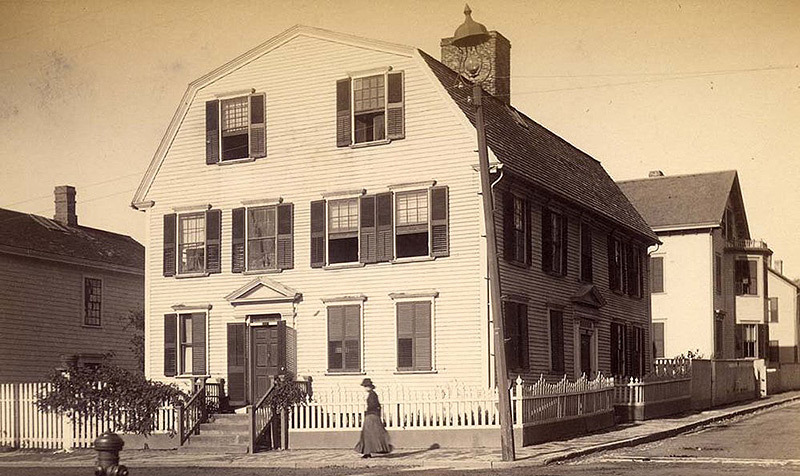 Mary Mayes Nichols, William’s sister, and her husband, Robert, shortly followed as innkeepers and for the next 200 years, with one brief interruption, the Tavern remained in the Nichols family. The Tavern became “home of the businessman’s lunch” as councilors dined here and charged their meals to the public treasury. Jonathan Nichols became tavern keeper and gave the White Horse Tavern its name. 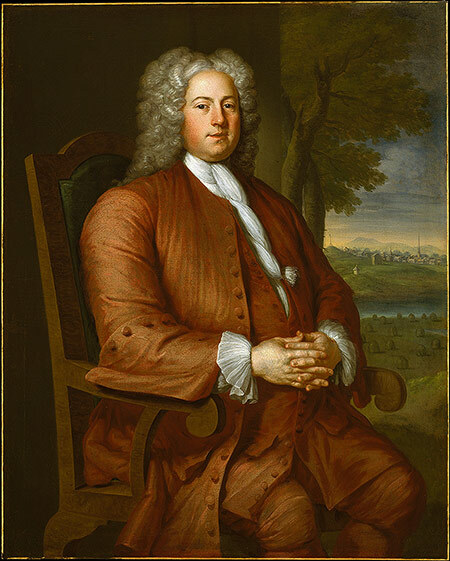 Walter Nichols, the new proprietor, moved his family out of the Tavern and out of Newport rather than live with the Hessian mercenaries billeted there by the British. When he returned after the war ended, he added the gambrel roof and addition. The Tavern showed years of use and neglect. Through the generosity of the Van Beuren family, the property was acquired by the Preservation Society of Newport County and was meticulously restored. This helped to save the structure from demolition. The Tavern was recognized as a National Historic Landmark and placed on the National Register of Historic Places. O.L. Pitts of Fort Worth, Texas and three partners purchased the Tavern. As sponsors of the America’s Cup, they continued the tradition of good fellowship, food and cheer. On his 90th birthday, O.L. Pitts turned the stewardship over to Paul Hogan, a Newport native. 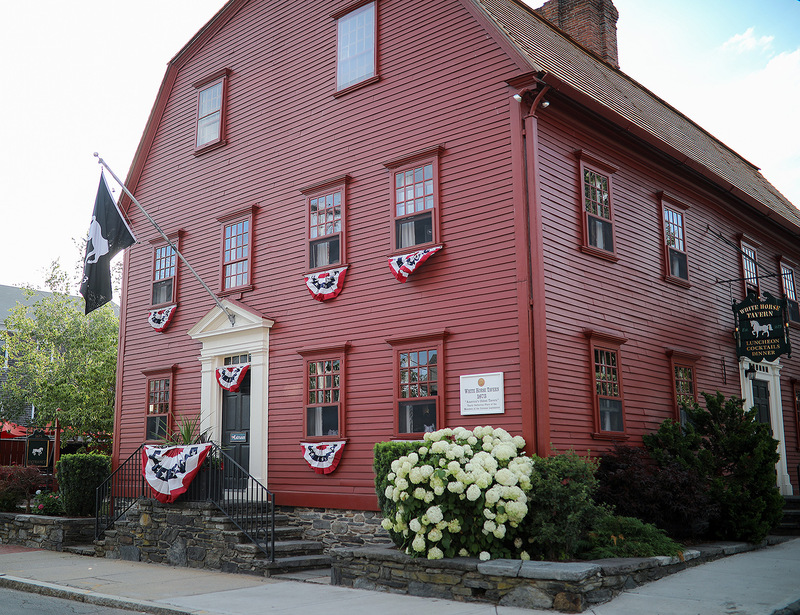 A Newport-based group acquired the property and became the ninth owner in the over 350-year history of the Tavern.